It gives me great pleasure to present to you this, the first Chairman’s report of the Scottish Beef Association. 2013 was very much a year of two parts. In the first half we were all having to deal with the legacy of 2012 and probably the worst year weather wise that I can remember. We can now forget about 1985 and replace it with 2012/13. The shortage of winter feed and its poor quality saw stock over the country as a whole come through the winter poorly. If that was not bad enough we had the slowest, latest spring I can remember resulting in a seven per cent drop in calf registrations. The only saving grace was record finished prices with prices over £4 per kilo from mid-April right to the year end. The store trade however, didn’t reflect this until late summer when grass recovered from its poor start. The second half of the year was a complete reversal with the first proper summer for a number of years. Most silage pits were full and with feed grain dropping to less than £140 per tonne ex farm, we start 2014 in a much better place. The recent drop in the finished trade - though unwelcome - was nevertheless not unexpected. Beef supplies are still tight so the drop I’m sure will be temporary. My advice would be to hold on to cattle, don’t rush to sell either finishers or stores. The SBA is now one year old and has had a steady start. The directors have worked hard to put in place a sound structure for us to move forward and make a real difference for Scottish beef farmers. You should all be receiving the weekly newsletter if you have an email address and the BEEF FARMER magazine quarterly. We launched the scottishbeefassociation.com website in November and it is regularly updated. The number of hits is rising weekly. I apologise to anyone not currently receiving the newsletter but we have been trying to update contact details and I would make another plea to anyone not currently getting it to please contact us. We do want to keep everyone up to speed and know how important the web and newsletter are for this. Our first year was one of consolidation and we were not actively looking to expand membership. But with a structure that the directors are comfortable with we will be looking to recruit in 2014. The SBA has been present at all stakeholders groups of government, animal health, less favoured areas, farm assurance, etc. By far and away the most important issue presently is CAP reform. There are currently three consultations out there – Brian Pack’s red tape review, Pillar 2 and Pillar 1 payments. The first two close on February 28 and the main one on March 17. I urge you all to fill these in, if you have not already done so. SBA as a stakeholder will submit a response to all three. Until the government included a ready reckoner as part of the Pillar 1 consultation it was extremely difficult to even get a ball park figure of the financial consequences of CAP reform but we knew it wouldn’t be good for beef producers. But with losses in the the 20 to 50 per cent range for most it has certainly forced us into action. Richard Lochhead seems to be genuinely alarmed and is widely reported as needing ideas. All the livestock stakeholders issued a crisis statement last week and met the Cabinet Secretary on Tuesday. SBA has secured a meeting with him where we will have an opportunity to put our suite of measures to him personally and give our positive ideas of how particularily the beef support measures should look. We would like to see the limited budget closely targeted to activity so Slipper farmers must be removed NOW. New entrants are also important and we want them to receive full area payments from next year with no transition. However the quickest way to increase the supply of quality Scotch Beef is from existing herds so the package has to be targeted at them. There should be 3 payment regions TGRS/PGRS, ARABLE and RGR. Payment rates should be in that order around 250,200 and 50. Payments in RGR should be linked to stocking rates/carrying capacity with the use of a reduction coefficient to limit the area of more extensive units. A minimum stocking rate has to be part of the package but set much higher than the proposed 0.05 Livestock units per hectare. We would suggest 0.5LU’s so instead of a cow to 20ha, it would be a more realistic cow to 2ha. 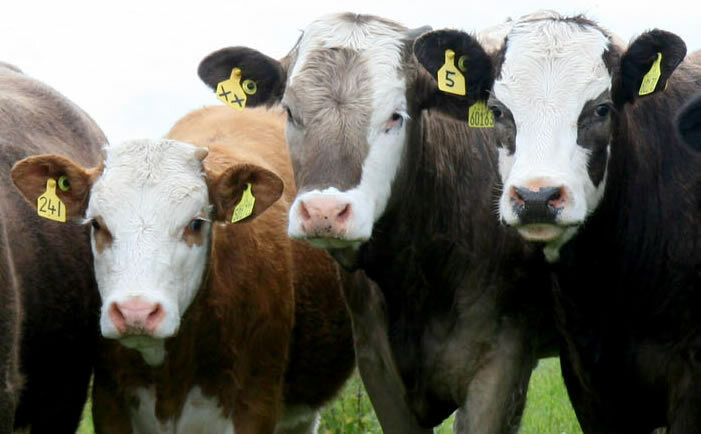 Coupled support should be used exclusively for an enhanced Beef Calf Scheme either as a flat rate or with a higher rate for extra numbers but not front loaded as set out in the consultation. A beef improvement package should be available through the new SRDP. A suite of measures should be available to all businesses but you must benchmark your business to identify particularly your weaknesses and the actions needed to correct them. All these measures looked at as a linked package would give beef producers the confidence to expand again knowing the politicians are behind them. We were disappointed that Richard Lochhead decided not to apply for the uplift payment for the beef calf scheme 2014 last week. This was a missed opportunity to show his commitment to the beef sector and give a positive message. Undoubtedly the lack of support from NFUS did not help either. Time is short and the Scottish CAP package has to submitted to the EU by August 1. As of today all members of SBA are also Associate members of Moredun. You will all get a quarterly fact sheet with your Beef Farmer on topical matters. The last two were on BVD and Liver Fluke. We will have a stand at Scotsheep on June 4 but no stand at the Highland Show. However we will still be having our usual Thursday afternoon event courtesy of Johnny Watson who has kindly offered his stand for a couple of hours. We are presently planning a trip to Ireland for early July. It will offered on a first come, first served basis so watch the newsletter and website for details. Finally we will be holding an on farm beef event in Spring 2015 and look forward to as successful a day as the one at Corskie. On closing can I thank all the directors for their work over the last 12 months but particularly Neil, Jim, Duncan and Judith.